Sami interests and environmental groups will appeal the Norwegian Government’s decision on Thursday to grant permission for controversial mine waste dumping in Repparfjord on the coast to the Barents Sea. The world needs copper and the mining company Nussir is ready to explore the resources discovered in the mountain in Kvalsund, more than 400 kilometers above the Arctic Circle. «This mining project will strengthen the business in the north. It will contribute to a positive development of the local community, bringing new jobs and expertise,» says Thorbjørn Røe Isaksen, Minister of Trade and Industry. His ministry says in its decision on issuing the permit that «the green shift depends on increased exploring of many new metals that could be utilized in new technologies, like solar panels, wind mills, electric cars and batteries. That said, the mining project is highly controversial because of its impact on the environment. «This is one of the most environmentally damaging industrial projects in Norwegian history,» says Silje Ask Lundberg, leader of Friends of the Earth Norway. She argues that two million tonnes of waste, contaminated with heavy metals, will be dumped every year by Nussir mining company. The fjord in question, Repparfjord, is listed as specially protected to conserve its population of salmon. Also, Friends of the Earth, says; The fjord has stocks of cod, pollock, Atlantic herring, haddock, halibut and flatfish that could be affected by the dumping of mining waste. «The planned dumping of tailings is equivalent to 17 lorry loads every hour of production,» says Silje Ask Lundberg. Minister Røe Isaksen counters the environmental groups’ concerns pointing to the environmental ministry’s permission to place the tailings at sea. «We feel safe that the sea deposits will not cause unacceptable consequences for the environment and sea food industry,» the minister underlines. Ask Lundberg disagrees with the ministry and the company’s environmental arguments. «Dumping of mining waste will kill every living thing on the ocean floor in the immediate area and disturb spawning grounds over a much greater distance. Scientists have repeatedly warned against dumping. This decision shows conclusively that the government does not take the fight to conserve ocean life seriously, and would rather prioritise short-term profit over conservation and sustainability,» Silje Ask Lundberg says. Norway is one of five countries in the world that allows dumping of mine tailings in sea. 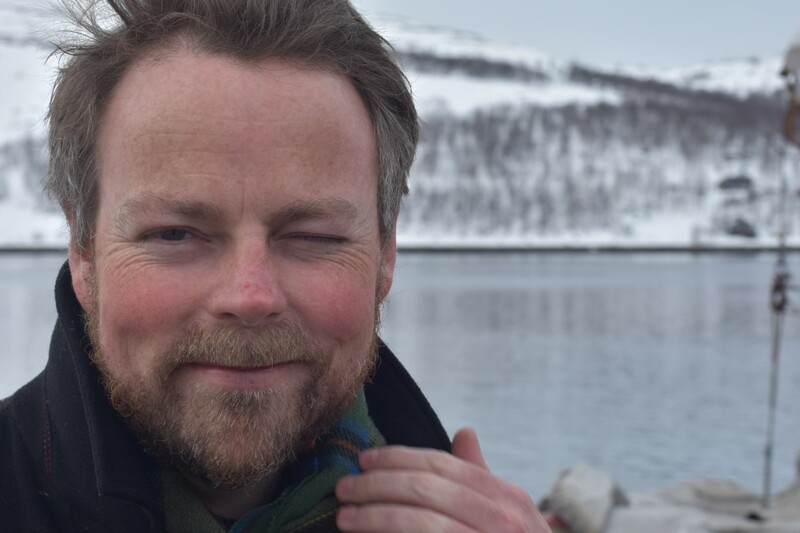 The copper mine is neither welcomed by the Sami parliament which argues that the Norwegian Government with this decision overrides both Sami interests in regards to fishing in the fjord and reindeer herding in the area of exploration. «This is a short-term mining project,» says President of the Sami Parliament Aili Keskitalo. 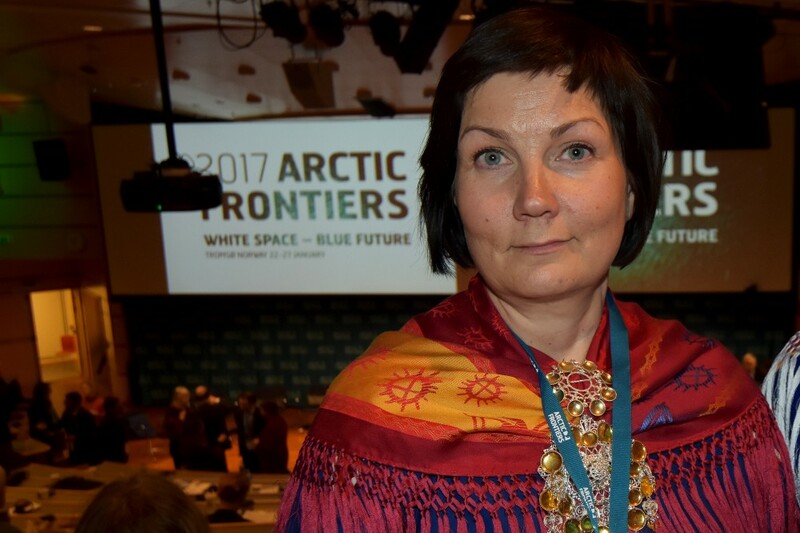 To the Barents Observer, the Sami parliament’s President elaborates and says this permission sends wrong signals. «We are very critical to sea deposits because the ocean, fisheries and sea food industry is so important for all of us living up north,» Keskitalo says. The Sami Parliament says it will appeal the operating license granted by the ministry. Nature and Youth, another environmental group in Norway says its members are ready to go to Repparfjord to stop the dumping of mining tailings to sea. The group says it is time for non-violent civil disobedience to stop the dumping of tailings to Repparfjorden. 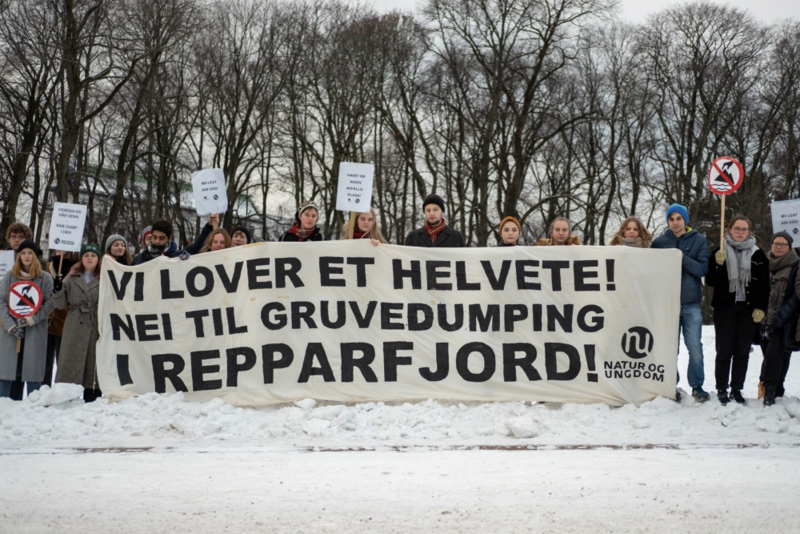 «Civil disobedience is the last possibility we have to save the fjords,» the group says and informs that about 2,500 people have signed up to participate in actions aimed to stop the dumping in Repparfjorden on the Norwegian Barents Sea coast.